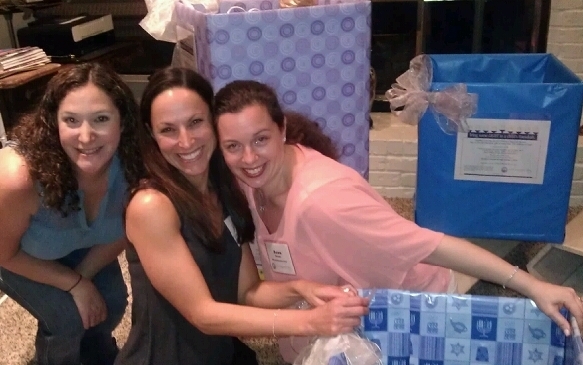 Jewish Federation of Greater Dallas’ Younger Set volunteers (from left) Sharron Laizerovich, Lori Stern, Dawn Strauss have helped in previous years, wrapping up some of the thousands of gifts that Jewish Children’s Regional Service will deliver. JCRS wants to make sure no Jewish child misses out on opening the fun of Hanukkah — to apply for Hanukkah gift assistance, call 800-729-5277 or email ned@jcrs.org. Hanukkah will be here before we can count to eight bright nights. Jewish Children’s Regional Service (JCRS) started “shopping” long ago to support the children and families it will service this winter. For the 19th year, JCRS will bring warmth, smiles and joy in the form of unexpected wrapped wonder. In 2015, Hanukkah gift bags with more than 1,500 individual gifts were delivered to more than 250 children and 30 Jewish residents of adult care facilities in JCRS’ regional states: Alabama, Arkansas, Louisiana, Mississippi, Oklahoma, Tennessee and Texas. Some of the families are recovering from natural disasters, job losses or significant illness to one or both parents; some are living with special needs; and some are new immigrants to the country. Recipients may have parents who are deceased, disabled, in prison or deployed overseas. It is not necessary that applicants produce financial disclosures in order to qualify, just to make a case for their need. Goldberg reassured that privacy is paramount. The packages include eight small Hanukkah gifts, one for each night. There is communication between the agency and the children’s families and if they are made aware of a hobby or interest, be it gift cards, toys, grooming supplies, stuffed animals, minerals and polished stones, Legos, sports cards, magic kits, action figures, small cars, games and sporting equipment. There’s little that can’t be found; few desires that can’t be met. All gifts are age and gender selected and each is wrapped with Hanukkah-related treats and a card handmade by a volunteer from throughout JCRS’ region. “As a doctor, I ‘live’ confidentially so I know how important that concept is and I’m honored to be the Dallas representative to deliver the gifts. I can’t tell you how appreciative people are — really it’s just precious and being the messenger is awesome and incredibly fulfilling,” said Dr. Jeanie Tolmas, former JCRS board president. The Tolmas family (Connie and the late Dr Hyman and Gina and Alan) has for many years been the connecting force for the program in Dallas. “Last year we had more helpers than we had recipients, and I know there’s more people out there that we can help — we just have to get the word out and Ned Goldberg, he’s the man — with 28 years on the job, he’s the impetus to get it done,” Tolmas added. From 7 to 9 p.m., Monday, Dec. 12, at the Jewish Federation of Greater Dallas, Younger Set, will host a Hanukkah Wrapping Project, tying another local bow on the mitzvah. JCRS is one of the JFGD’s beneficiary partner agencies and also a recipient of a Federation Community Impact Grant to benefit camp scholarships. Younger Set, chaired by Staci Rubin, is a division of the Federation’ Jewish Women’s Philanthropy Center, is dedicated to creating and providing opportunities for women under the age of 45 to learn about the purpose, mission and goals of the Federation. Younger Set invites ladies to join them in the wrapping project. The deadline to RSVP is Dec. 7. Camp scholarships are one of the many manners of provisional support offered by JCRS for nearly 162 years. The organization also provides College Aid, in the form of grants and scholarship. PJ Library, Special Friends Club, Special Needs Program and support groups round out the programs which reach more than 1,000 children each year. To apply for Hanukkah gift assistance, to volunteer to adopt-a-child or to make a donation, email ned@jcrs.org or call 1-800-729-5277. For more information about JCRS, visit www.jcrs.org. To participate in the Dec. 12 wrapping project, RSVP by Dec. 7 to jsatterwhite@jfgd.org. 10. Canada geese are the second-largest honking waterfowl in North America, and they often take over the cornfields and playgrounds. Yet these birds can be a backyard-to-table coup if you have the right ingredients. Canada goose in Sweet Chili Sauce may be just the delicacy for you. 9. Doves and pigeons (aka “squab”) are lean, plentiful dark meat birds, which you may see hanging out on electric lines or neighborhood trees. 7. Often found off the coast of Florida with Bubbe and Zayde, the jewfish is from the grouper family and can grow up to 700 pounds. There are several theories about how it got its name and whether it’s derogatory toward Jews. But whatever you feel about its nomenclature, there’s no denying it makes a scrumptious coconut jewfish entrée. 6. And while you’re looking in the fish-with-scales family, the monkey-faced eel has been called “ugly as sin” with a somber face that looks out soulfully from the rocks of Monterey Bay, but it’s also very tasty in a fish gumbo with a side of kasha varnishkes. 5. And last but not least, the shibuta has made many appearances in the Talmud, and has a unique pork-like taste to it. According to ancient texts, a salted head of shibuta boiled in beer is not only delicious but can possibly cure jaundice. 4. OK’d by Leviticus, Deuteronomy and the Orthodox Union, bison are not only the national mammal of the United States, they also make a very lean, tender brisket roast. 3. As long as you’re in the market for cud-chewers with cloven hooves, there are also tasty recipe ideas for elk (chipotle chocolate chili!). So now that you have a new list you can try to add a little something to your dinner table! Plus add a new website of interesting Jewish articles to your daily reading — thejewniverse.com is filled with lots of strange and interesting facts! 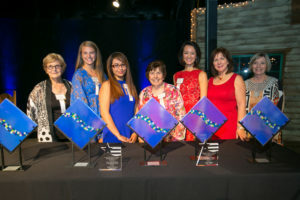 This year, Southwest Jewish Congress (SWJC) added a new dimension to the annual recognition of men and women and young achievers at its Texas Sized Event at Eddie Deen’s Ranch. The Audrey Kaplan Inspiring Women, the Stan Golden Men of Action and the Future young versions of the recipients earned a major surprise when it was announced that each of the organizations they volunteer and assist to help others was going to receive a 50/50 extra gift from the over 400 in attendance. Each table was outfitted with a special envelope that listed the charitable groups with which the honorees worked. Those attending the dinner were asked to find the person they wanted to show appreciation and to donate to that group in honor of their volunteer. Tammy Nguyen Lee: Against The Grain Productions, Inc.
SWJC was able to send donations of various sizes ranging from $75 to $950 per gift — all meant by SWJC to add an another layer of thanks for the good work being done selflessly in many areas, given by distinguished people of many backgrounds and disciplines. This gesture is a part of SWJC’s mission to build bridges in the community and educate about issues that affect the whole society. 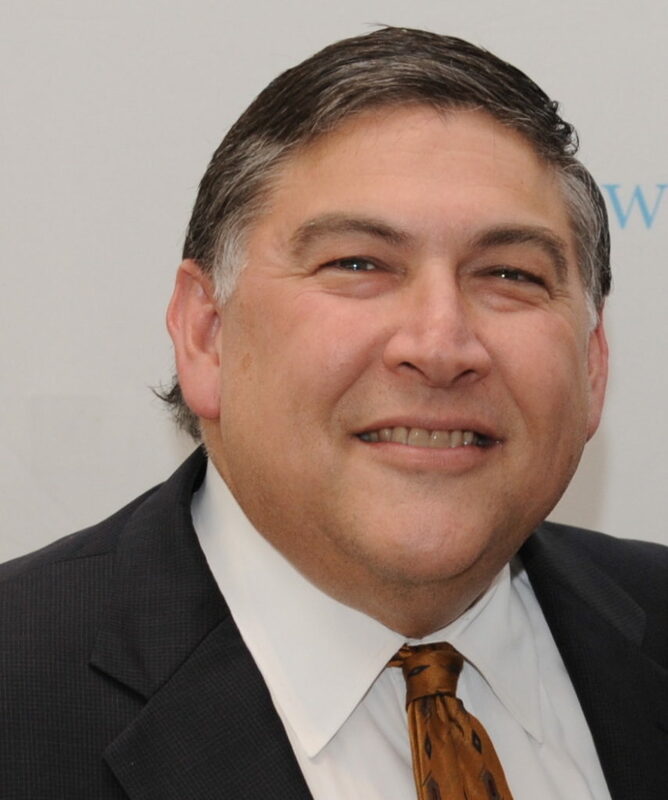 On Oct. 15, Blake Silverthorn received a 2016 Lone Star Emmy Award for his role as associate producer of the Dallas Cowboys’ Spanish-language sports program series, Somos Cowboys (We Are Cowboys). 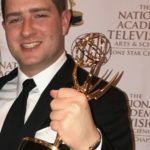 Lone Star Emmy Awards are given to the most experienced and talented television professionals from Texas’ 19 television markets. The son of Deb and Eric Silverthorn and brother of Emilie and Jonah, Blake is a 2015 graduate of Texas Tech University. He is a producer, EVS-operator, camera operator, editor and audio technician for the Dallas Cowboys with projects including the Cover 4, Deep Blue documentaries, the Dallas Cowboys Legends Show and Cowboys Press Conference Replay programs. 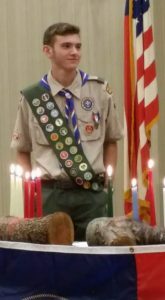 On Sept. 14, Noam Yosef Lewis was presented his scarf and pin at a Boy Scout Court of Honor as he obtained the rank of Eagle Scout. For his Eagle project, Noam coordinated and executed landscaping for a special needs school, St. Elizabeth School, in Baltimore. Noam is the son of Marla (Goldstein) and Charles Lewis and brother of Aitan Yakir and Sarit Yael all of Baltimore, Maryland. He is the grandson of Barbara (Josephson) Goldstein and the late Martin “Doc” Goldstein of Dallas. Barbara, along with aunt and uncle, Mona Goldstein and David Goldstein, were present at the touching ceremony. Additionally, Noam will be honored with a reception at the National Scout Museum later this year. Sharon Blumberg’s Chooze, a fashion brand that encourages individuality and uniqueness, has opened a pop-up shop at Preston Royal Village East. It showcases new fall/winter styles, in addition to providing locals with an intimate introduction into the line specializing in female fashion. Chooze offers purposefully mismatched clothes, shoes and accessories, instilling in women that imperfection is beautiful. The shop will be open throughout the holidays. Noam Yosef earned his scarf and pin from the Boys Scouts. He coordinated landscaping for a special needs school in Baltimore. Although Rachel Cristol always had an aptitude for art, she waited until she was a grandparent to hone in on her talent. During the past 16 years, her new career as a professional artist has flourished. 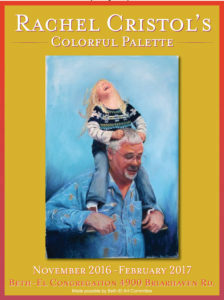 Her vibrant pastels, oils, and watercolors are in galleries and private homes in Texas and Louisiana. Her portrait commissions hang at Tulane University and Louisiana State University. For the next three months, she has a solo show at Fort Worth’s Beth-El Congregation. Yet, during her years at the University of Connecticut in the 1950s, she took but one art class. Her academic load left no time for art classes. The one elective she chose was a course in pastels – a medium that is pure pigment in chalk form and produces vibrant color, alive with light and shadow. She asked Marvin Blum, a part-time artist and fulltime tax attorney, who his teacher was. He referred her to Judy Pelt, an acclaimed pastel artist who died last November. The class she taught in her home was full, but Rachel came anyway, with “my old palette and my old everything.” The art teacher suggested that Rachel instead enroll in her classes at the Woman’s Club of Fort Worth, headquartered in a landmark building on Pennsylvania Avenue. Rachel joined that venerable institution, and the rest is evident on her colorful resume and the solo show that will remain in the Beth-El board room through the end of February. Time To Order New 2017 Mah Jongg Cards! Suzie Herman is taking orders for the 2017 Mah Jongg cards. The orders benefit the Fort Worth Chapter of Hadassah’s Stem Cell Research Fund. The cards come in two sizes: Standard size card is $8; Large print size card is $9. Please send your check (payable to Suzie Herman) along with a copy of your order, and mail to: Suzie Herman, 4701 Springwillow Rd., Fort Worth, TX 76109. Suzie may be reached by calling 817-732-5151 or emailing suzherman@charter.net. The deadline for ordering the new card is Wednesday, Jan. 18, 2017. The 7 p.m. event will feature special guest Andrea Arbel, director of the Partnership Unit of The Jewish Agency for Israel, and a jazz performance by New York-based Israeli singer/composer/arranger Sivan Arbel and her band, Sivan Arbel Septet Band. Capping off the evening will be the presentation of The Spirit of Federation Award, which honors a man and woman who have demonstrated personal commitment, dedication and leadership to the Federation and its agencies. Light refreshments will be served. The entire community is invited to attend. Please RSVP by Jan. 20 to Milena Razack at 817-569-0892 or email: kickoff@tarranfederation.org. Today, I am giving thanks. A Thank You to Pirke Avot, with attribution to Rabbi Akiba, for this: “Everything is foreseen, yet freedom is granted.” It’s a wonderful conundrum I’ve pored over for many years as I (still) try to understand both the possibilities and ramifications of free choice. Amen! I wish everyone a Happy, Thankful Thanksgiving! Nov. 10, 2016, AJC awarded Jeffrey A. Zlotky the 2016 Milton I. Tobian Community Relations Award in front of a sold-out room of over 360 attendees. 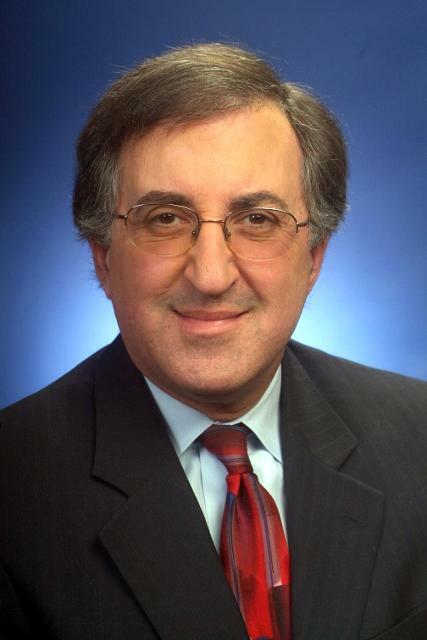 Zlotky, Partner and General Counsel for Natural Gas Partners, is the nephew of award namesake Milton Tobian. 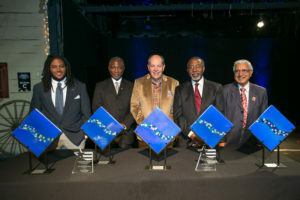 He was recognized for his leadership, highlighted by work with AJC and the Vogel Alcove. The dinner was chaired by Jill and Adam Lampert. Making tribute presentations were Ken Hersh, CEO of Natural Gas Partners and president and CEO of the George W. Bush Presidential Center and Joe Pevsner, senior partner at Thompson and Knight. The occasion also marked the first Dallas Kosher supervised event at Sharon van Meter’s popular venue 3015 at Trinity Groves. AJC was excited to have the opportunity to inaugurate a new option for kosher event space in the Dallas area. When House Bill 89 and Senate Bill 134 were filed in Austin last week, state Rep. Phil King (R-Weatherford) said it was going to take a group effort to get the bill turned into a law. And key leaders in the Dallas Jewish community have started doing their part. At a meeting hosted by the Jewish Federation of Greater Dallas Nov. 17, community leaders from several organizations gathered for more than 90 minutes to discuss strategy and planning to make sure the anti-BDS bills would pass in either the Texas House or Senate at the next session. The filed bills would prohibit the use of state public funds for companies that are involved with the Boycott, Divestment and Sanction (BDS) movement. BDS is a global campaign attempting to increase political and economic pressure on Israel, with target goals of directly or indirectly delegitimizing the State of Israel. Charles Pulman attended the meeting on behalf of representative King, and made it clear that community effort is going to be key for this to pass. Thirteen other states have passed similar legislation. In South Carolina and Illinois it was a non-partisan legislation and passed unanimously, which is a strong foundation to work with, but there will be challenges with the economic nature of the bill. Local Jewish leaders will be encouraging members of the community to reach out to their representation with a clear, and organized message about the legislation. A fact sheet and a script for making an introduction to a member of the legislature were passed out at the meeting, and community members are encouraged to make contact using email, phone calls and faxes. Yes, faxes. While it’s not a common communication technique anymore, it stands out since there are fewer being sent each day. Pulman said it’s important to speak with a clear message, through whatever medium that may be. Organizers also discussed and laid out plans for a pair of Austin advocacy events surrounding the legislation. On Feb. 9 there will be a rally, and Feb. 22 will be Jewish Communities Day at the State, each date is expected to be well attended by members of the community. General awareness is also important in this issue, and pins were passed out at the meeting that had the Israel and Texas flags connected, a sign that the state stands of up for Israel. Many local Jewish organizations are committed to promote the anti-BDS legislation that was filed for consideration when the Texas legislature convenes in January. To get involved, contact the Jewish Community Relations Council of the JFGD at 214-615-5293 or email at jcrcdallas@jfgd.org. I had actually forgotten that Kennedy was coming to Dallas. I was excited about my upcoming marriage, just 30 days away, not the arrival of the president. The early afternoon startling announcement of JFK being shot and soon thereafter being declared “dead” seemed to subdue most kids. They mumbled among themselves, trying like the rest of us, to sort things out. Thankfully, school let out early. As I headed out to the parking lot, I wondered if it were the Russians or the Cubans who were responsible for our nation’s terrible loss. Maybe I would find out later that evening when I was scheduled to report for my weekly duty as a Dallas Police Reservist at police headquarters. After Oswald was captured, police reservists were asked to be on duty Saturday and Sunday. It was shocking to see how the world’s press corps had actually taken over almost every desk and phone normally manned by police personnel. It was bedlam as they moved Oswald through the hall. You’ve seen the scene, replayed each November, Oswald’s blackened eye, the smirk on his face, being led into an office as an officer followed, holding the rifle aloft for all to see. Detectives wore white Stetsons. My eyes were glued on Oswald so I missed spotting Jack Ruby, standing nearby, whose gray hat I later recognized on television. Everyone on duty that weekend was soon questioned by the FBI. I was no exception. Arranging to meet me at Bryan Adams during my planning period were two agents. One asked the questions while the other took notes. It was quite sobering at first when one agent asked, “Is the information you’re about to give, truthful? You will be liable if you have not told the truth.” This meant that lying to the FBI is a punishable offense, so I was very, very, very careful of what I said. “Both officers got out of the car to speak with “Jack.” I was told to stay in the car to listen for any radio calls. After a few minutes, a call did come in. We quickly left and I soon forgot about “Jack.” I later recognized him in the newspapers as Jack Ruby. My complete story and others can be found on the Sixth Floor Museum’s interview collection, “Living History, Jerry Kasten” on YouTube. Chances are that there are childhood memories and historic events which you remember. Why not share those memories with your children and grandchildren by writing them down in a notebook, including comments, photos? The Dallas Jewish Historical Society located at the Dallas JCC, has a wonderful oral history project, which involves videotaping interviews with senior citizens. These professionally done conversations can then be accessed online by friends, family members and anyone wishing to learn events of the past from those who actually experienced them. We are all part of history. What’s your story? I’ve often wondered if we could add a section to our prayer service for Thanksgiving, like we do for Hanukkah and Purim. After all, so many Jews have benefited by living in America, and Jews around the world have benefited because there is a USA, even if they don’t live there, especially Jews in Israel! I asked this question in our Sunday school, and there was a discussion, but no clear answer. You’re asking a great question, which is a very Jewish question, one of real appreciation for the many blessings you enjoy being Jewish in America! I totally concur that the Jews around the world benefit greatly by the fact that there is a United States, for many reasons, among them America’s generous support for Israel. The level of religious freedom and equality we enjoy here is unprecedented, and has not been enjoyed by Jews in any county for hundreds, if not thousands, of years. It is most certainly incumbent upon us, as Jews and as Americans, to have tremendous feelings of appreciation for all of this, as reflected by the prayer for the United States recited weekly on Shabbos in synagogues throughout the country. The question of adding to the actual Amida prayer, like we do for Hanukkah and Purim, however, is a more complicated one. We can’t add a “holiday” to the Jewish calendar, which would take on the meaning to the Jewish year as Hanukkah or Purim. Even those holidays, which celebrated the rescue, emancipation and existence of the Jewish people, were not added by agreement or a vote. Even the early sages of that time relied upon prophesy, and without actual prophesy would not have had the license to add a rabbinical holiday to the Jewish calendar. Prophesy ceased soon after the Purim miracle, at the beginning of the period of the “Men of the Great Assembly,” upon the Jews return to Israel with Ezra and Nehemia to rebuild the Second Temple after the 70 year Persian-Median exile. (I always say, that’s when we became a non-prophet organization!) From that time forward we no longer have the license to add a new holiday to the Jewish calendar and an addition to the amidah. The prayer service, especially the Amidah prayer (which you’re referring to the addition of Hanukkah and Purim into), was composed by the same group of sages, the Men of the Great Assembly. It was written by a venerable group of 120 sages, among them the remaining prophets. They utilized this prophecy to know what precisely needs to be in the prayer service to carry the Jews through their future years of exile and Diaspora. Among the additions to the daily service, they injected paragraphs for Hanukkah and Purim. Although we can’t add to the actual service, you could certainly add in your own private expressions of appreciation. On a communal level, as we mentioned above, most synagogues recite a weekly prayer for the guidance and safety of the United States, its citizens and leaders. We all need to pray to God to give guidance to the recently elected new leadership of our country as well. On the same note, all of Judaism is about appreciation. The very name “Jew,” from the word “Yehudi,” comes from the root “hoda’ah,” which means appreciation. Every mitzvah that we do, and every prayer, is to show our appreciation to the Al-mighty for the many blessings in our lives. To the extent that being American is a blessing for us, we can thank God for that blessing, having it in mind in the mitzvos we perform on Thanksgiving, and every day of the year. Wishing all the readers a happy Thanksgiving. The month of Cheshvan — no Jewish holidays! However, Thanksgiving is coming! Something that makes a beautiful sound. Something that is older than you are. Something that you have just learned. Something that makes you cry. Something that makes you strong. Something that you would like to share with others. For those of you who love music, download Craig Taubman’s Modeh Ani. This prayer is said every morning on waking up — we are thankful for waking! The song is great but we use it as a “fill in the blank” with the children — “Modeh Ani, I am thankful for … .” It is a simple and easy song to learn — so wake up singing. Part 2: Giving expression to our appreciation — why is it necessary to see it and then say it? There are many answers to that question that you can talk about but speaking it out loud (or writing it down) makes it real! It is also a way to share with others that you are thankful and that helps us all to hear it! So get ready for Thanksgiving by making your list and counting your many blessings! !